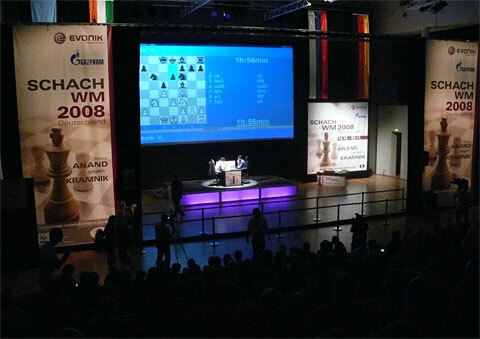 10.14.08 The World Chess Championship began today in Bonn, Germany between defending Word Champion Viswanathan Anand of India and Vladimir Kramnik of Russia. 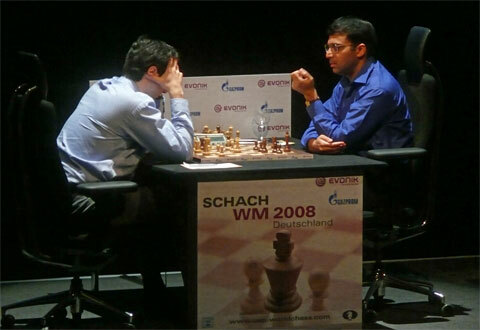 As expected, both players were feeling each other out and the game fizzled out to a draw after Black's 32nd move. 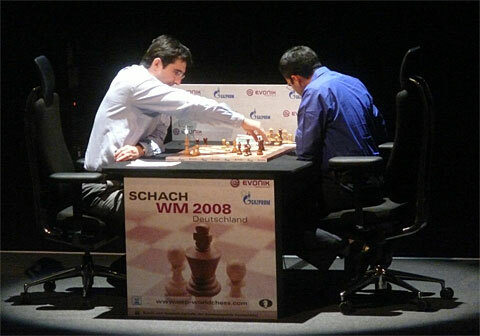 The long-awaited World Championship Match is underway. 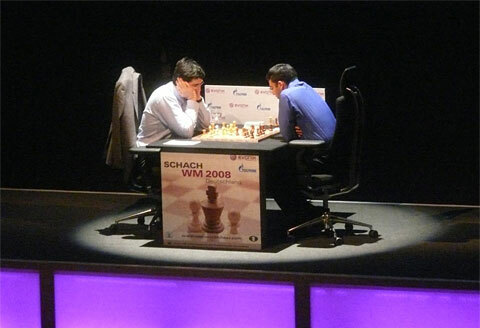 Vladimir Kramnik (left) and Viswanathan Anand get down to business. 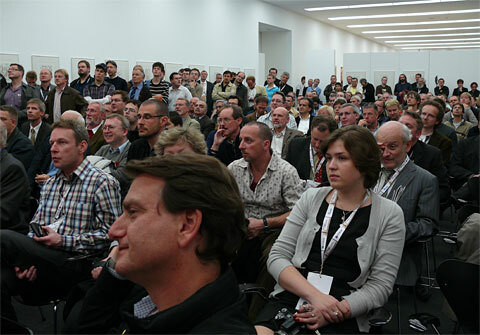 The State Art Gallery in Bonn, Germany is the venue for this prestigious event. 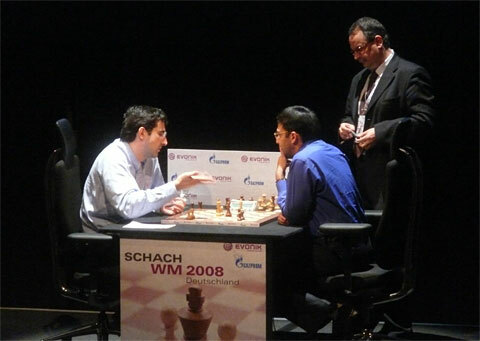 ...ends in a draw under the watchful eye of Chief Arbiter Panagiotis Nikolopoulos. The players at the post-game press conference moderated by GM Klaus Bischoff. Throngs of reporters pack the floor of the press conference.